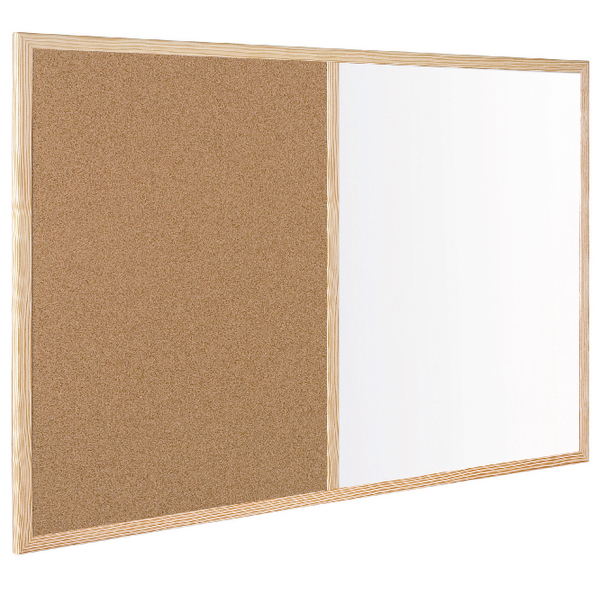 Bi-Office Wood Frame Cork/Drywipe Board 900x600mm MX07001010 – BQ27010 – OfficeYoo! On one half of the board, you can pin up notices with the cork pin board – ideal for semi-permanent display of important information. On the other half, write a quick message with dry wipe markers on the non-magnetic dry wipe board. This economical board comes with a free dry wipe pen, a pack of pins and a wall fixing kit, so you can start working straight away.